Jane recently returned to the North Carolina office after spending a year in Johannesburg, South Africa supporting Duke CE clients in our Africa Region. Jane’s roles include assisting with the design and development of programs, facilitating group sessions, and working closely with clients to ensure their business outcomes are met. She also manages budgets, provides project direction, and engages and prepares educators for participation in Duke CE programs. She has worked across many industries including Health Care and Life Science, Financial Services, Energy/Petroleum, Mining, and Aerospace. Jane’s program design, development and facilitation work is enriched by the firsthand knowledge she acquired as a member of several management teams. Prior to joining Duke CE, she held a number of executive positions, including Corporate Officer and Vice President of Corporate Development for Mojave Therapeutics, Senior Director of Client Service at Celera Genomics and Vice President of Business Development for Covance Research. Jane, who considers herself a scientist at heart, began her career in basic science and clinical research at Duke University Medical Center and, after completing her MBA, spent several years with Abbott Laboratories in pharmaceutical sales, marketing and new product development. Following 20 years as an executive in the drug development industry, she turned her attention to coaching and executive development. Before coming to Duke CE, she served as Director of Executive Education at the Stony Brook University School of Business, where she was responsible for the development and management of executive education programs and managed an independent executive coaching and leadership development consulting practice. Jane holds a Bachelor’s Degree in Zoology from Duke University, a Master’s Degree in Biostatistics from the University Of North Carolina School Of Public Health, and an MBA from The University of Pennsylvania’s Wharton School of Business. 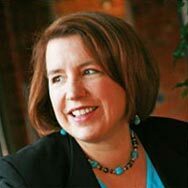 Jane is an International Coach Federation (ICF) certified executive coach, has earned a Certificate in Leadership Coaching from George Washington University, and has completed certification in Myers-Briggs (MBTI), Barr-On Emotional Intelligence, Crucial Conversations, and VIA-Strengths training certification. Jane has served on the Alumni Board of Directors of the Wharton School of Business and is currently Chairman of the Board of Directors and President of the International Burn Foundation, and serves as a member of the John A. Feagin Leadership Program Advisory Board. Jane and her husband Eddie live with, 13 chickens and 2 horses on a small farm outside Hillsborough.